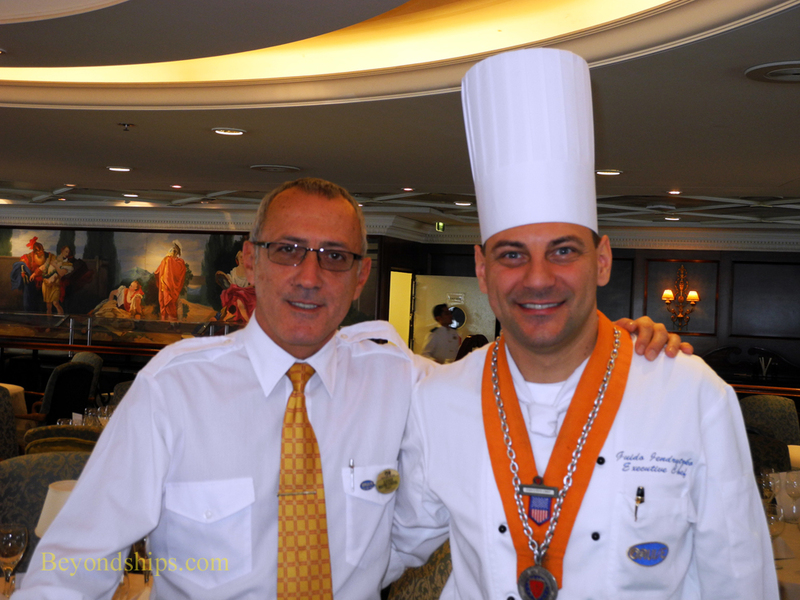 The overall approach to dining on Ocean Princess is the same approach as throughout the Princess fleet. “We are cooking the same menus, the same recipes. We are cooking the same food. We use the same products,” explained Executive Chef Guido Jendryztko. 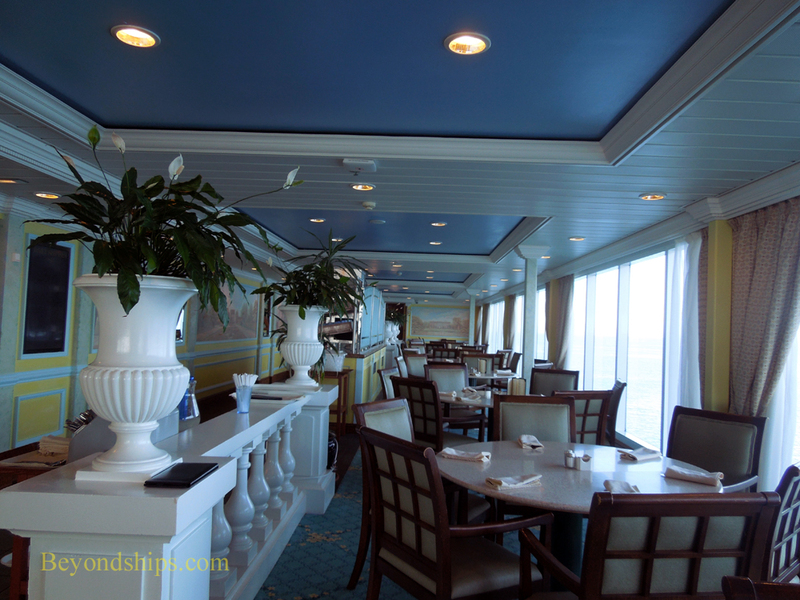 The Club Restaurant is Ocean Princess' main dining room. 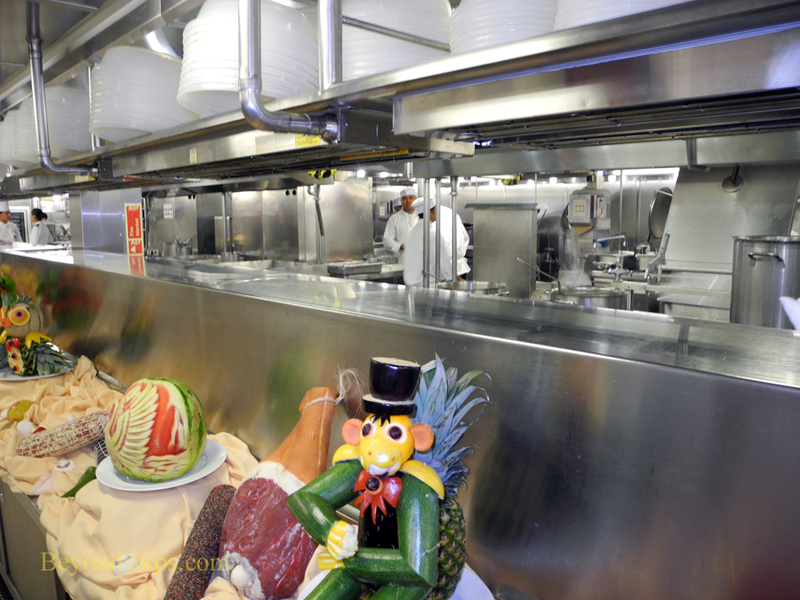 It is a relatively large room at the stern of the ship on Deck Five. However, it is elegantly decorated with a sophisticated country club décor. It is open for breakfast, lunch (sea days only) and afternoon tea on an open seating basis. Guests can share a large table with other guests or opt to sit by themselves. For dinner, it follows the traditional two seating system with each guest having an assigned table at either the first or second seating. Above: Tables in the Club Restaurant . Below: Seating in the Panorama Restaurant. 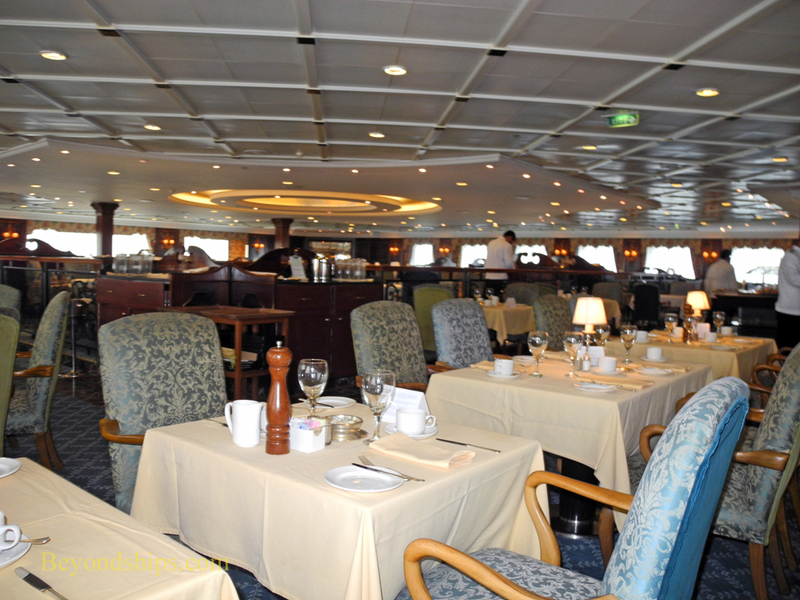 The Panorama Restaurant is the ship's buffet restaurant. Located high on Deck 9 at the stern of the ship, it has an indoor section as well as an outdoor section. Indoors, the room is done in a light refined style. Outdoors, the restaurant offers spectacular views over the ship's wake. “The Panorama is for people who just want to grab something. They don't want to sit down and be served, wasting time. 'I just want to grab something fast, I don't want to be dressed up, I don't want to be stressed with my dinner,” explained the Chef. The Panorama has its own bar so you can have a drink with your meal. In addition, there are waiters in the restaurant to assist you.